Complete with box and certificates, Marcelle is Doll of the Year 1997 and created by Joke Grobben & Gotz. Produced in a low edition of just 250 worldwide. 20 only were assigned to the UK. Signed to the box and to the main body of the doll with Joke Grobben signature - this can be seen in the pictures below. 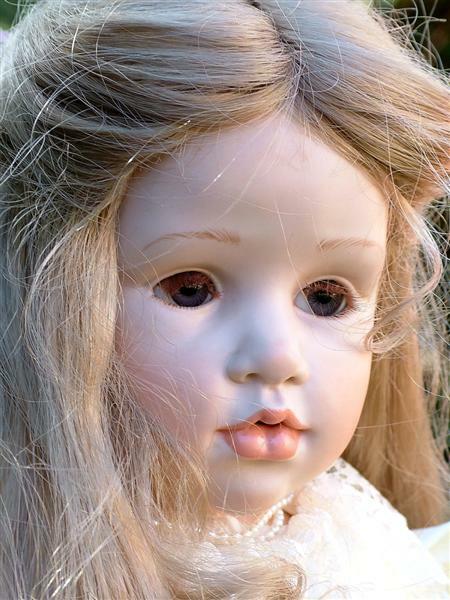 Absolutely stunning doll in original condition, and never been displayed or out of her box. Marcelle has human hair, silk taffeta dress combined with gold, which reflects perfectly on her brown complexion. Measures 65 cm in length (25.5 inches). Weighs in her box, but unpackaged just under 3kg. Additional photographs are available on request. Maja is part of the 2004 Gotz Collection. She is a stunning 27" vinyl doll with grey/ blue glass eyes. Maja's wig is made of blonde human hair. 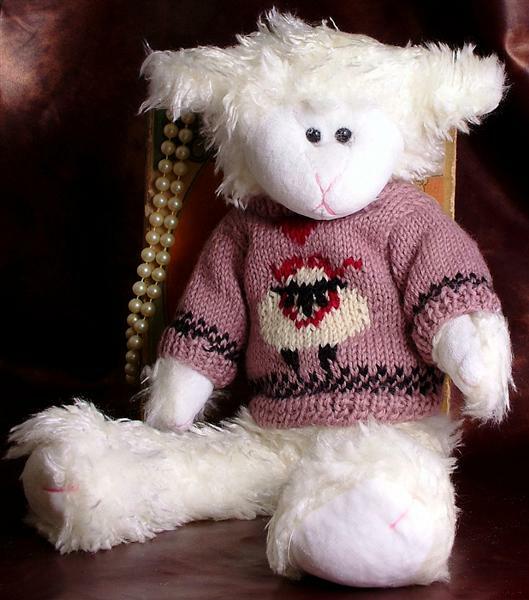 Features are hand-painted, with her striking outfit made of knitted wool and cotton. Her shoes are genuine leather and she comes holding her oil-lamp. Limited edition of only 400. Stands 68cm (27 inches) in height. Sissel Skille. Additional photographs are available on request. 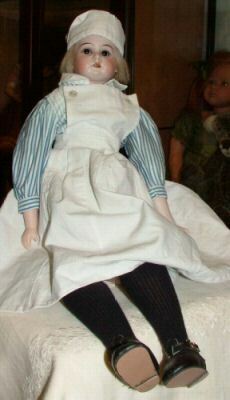 Charming Armand Marseille nurse doll, late 19th century or very early 20th century. Measures 22 inches (56 cm) in length. Renovated, with both arms from a later period. Weighs unpackaged 750 grammes. Additional photographs are available on request. 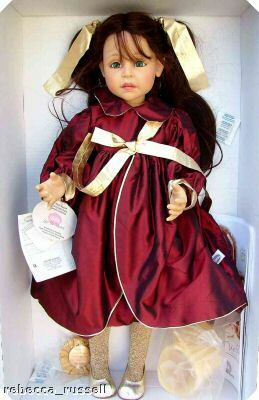 Beautiful Ruth Treffeisen doll, 30" limited edition 405/750, name is Patricia. Vinyl with human hair. Weighs unpackaged approximately 2kg. Additional photographs are available on request. Beautiful 25" vinyl doll, name fleur, and designed by Ruth Treffeisen. Comes with original packaging and certificate. Human hair. Weighs unpackaged approximately 1.5kg. Additional photographs are available on request. Joke Grobben artist doll, Renaldo. Limited Edition doll and complete with Steiff monkey. Black human hair and hand blown glass brown eyes. 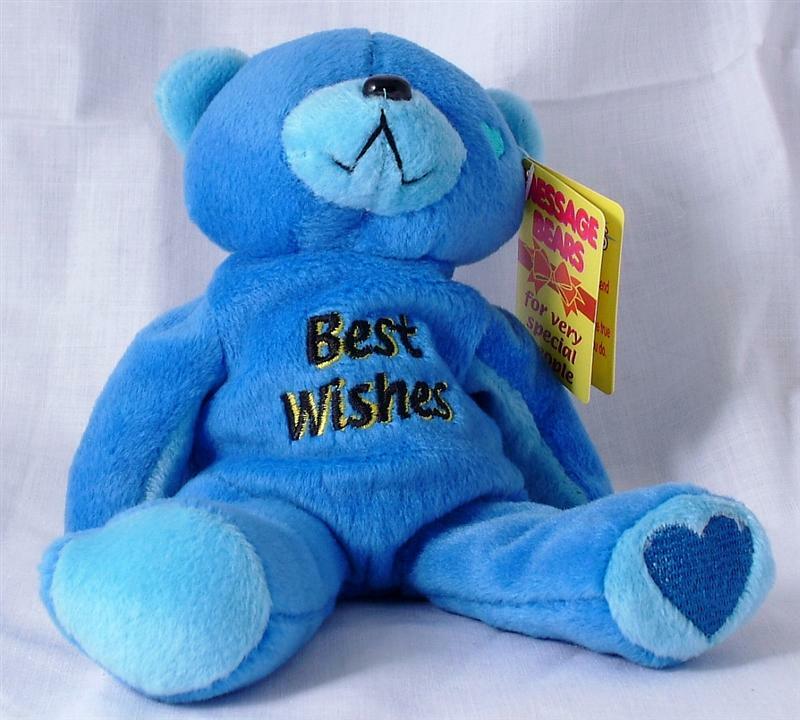 Measures 23 1/2 inches in length and doll alone without box weighs 2200 grammes. Additional photographs are available on request. Delightful Gotz Emmy vinyl dribble baby doll, by Carin Lossnitzer. Mohair wig and crystal eyes. Comes with her own soft blanket, and measures 17 inches in length. Weighs unboxed and unpackaged 1300 grammes. Additional photographs are available on request. 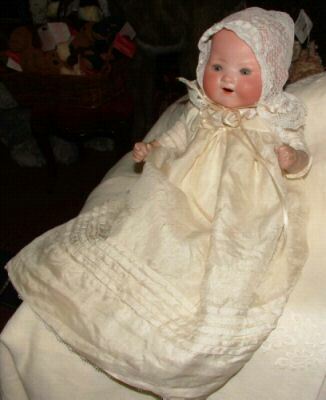 Charming Armand Marseille Dream Baby doll, dating around 1920. Porcelain head and composition body, redressed in old cloth. In good condition. Marked to the back of the head 351. Measures 10 inches in length, and weighs unpackaged 450 grammes. Additional photographs are available on request. Boxed 17” doll, oriental dress. Named Tschuh. Elizabeth Lindner Gotz. Additional photographs are available on request. Pretty porcelain girl doll, named Sabrina. Stands 25 inches. Beautifully dressed in a cream outfit and cream leather shoes. Glass eyes. Comes with certificate from artist, Gloria Steggel. Weighs unpackaged 2.8 kg. Additional photographs are available on request. 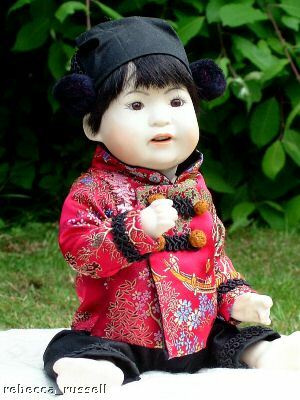 Charming boy doll, hand made porcelain 26 inch. Pretty glass eyes, and beautifully dressed in a blue velvet suit and black patent shoes. Named Christopher. Comes with signed certificate from the artist, Gloria Steggel. Weighs unpackaged approximately 2.5kg. Additional photographs are available on request. Stunning hand crafted porcelain mould doll, named Shen. Porcelain head, shoulder plate, arms and legs with cloth body. Glass eyes and human hair wig. Beautifully dressed in real Chinese silk. Comes with a signed certificate of authenticity from the maker. Gloria Steggel. 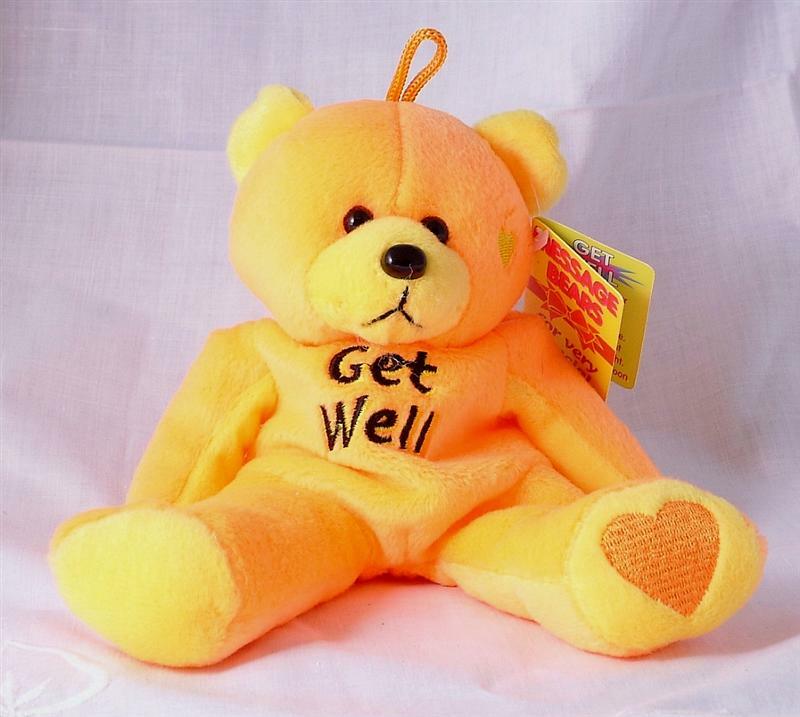 Doll measures approximately 24 inches (61 cm) in length, and weighs unpackaged 2kg. Does not come with a box. Additional photographs are available on request. Merrythought Dreamland Carousel with horse and also teddy. Stands 16 inches (41 cm) in height, and weighs unpackaged approximately 1.5kg. Additional photographs are available on request. Charming boy doll, understood by our client to be a Lenci doll or Lenci style doll and estimated date to around 1920. In generally good condition, and comes with his pail bucket. Have taken a number of photos to show, particularly the face area, in more detail. The condition of the face surface is not perfect as can be seen in the photographs. Most probably Jack from the Jack and Jill Nursery Rhyme. Measures 12 inches and weighs unpackaged 180 grammes. Additional photographs are available on request. c1930 Beautiful pottery and cloth Doll. Pottery head, hands, lower arms and feet also lower legs. Body is cloth. Mohair hair and hand painted face. This Doll is very possibly named the Church Doll. 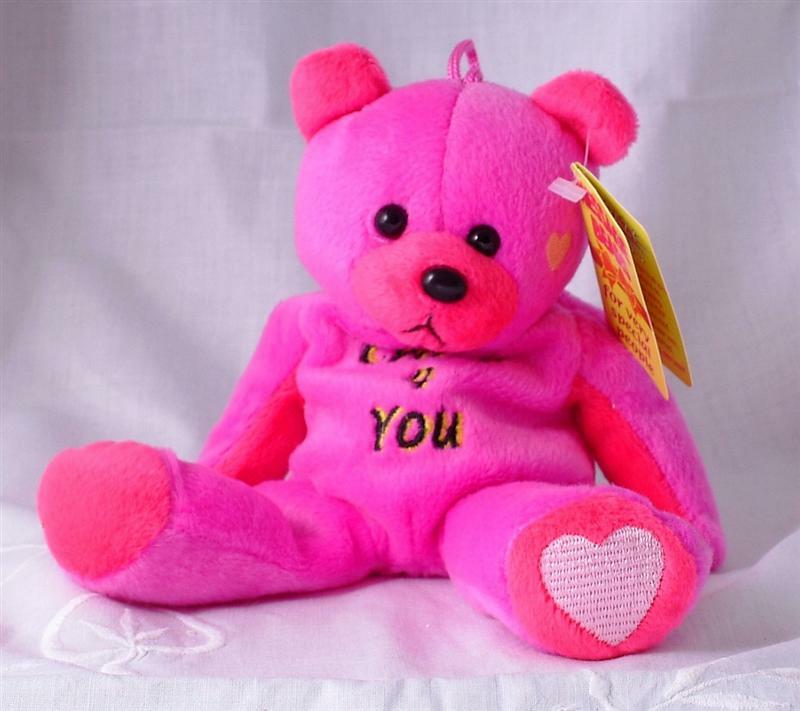 Clothes are not original but have been made sympathetically and in keeping with the date of the doll. 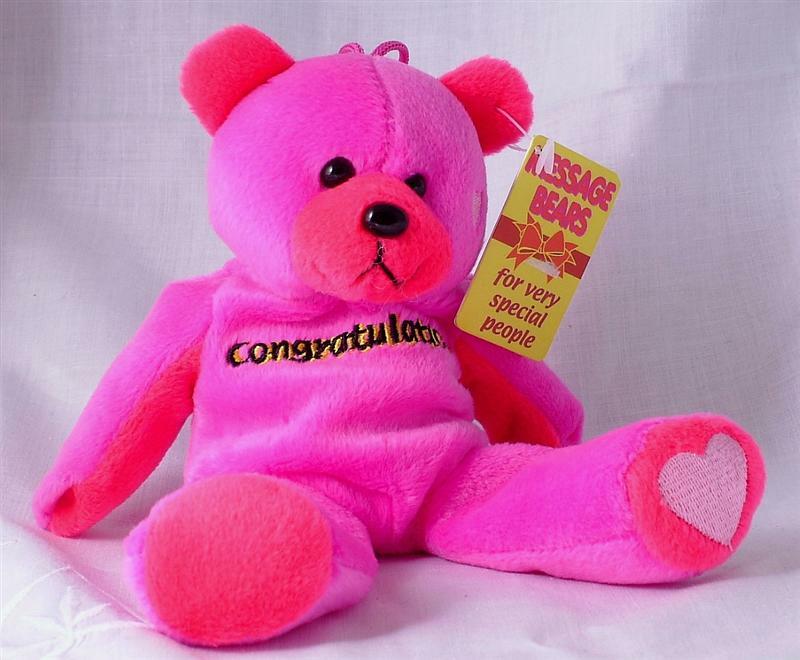 This sweet doll measures 17 inches (43 cm) in length, and weighs unpackaged 400 grammes. Additional photographs are available on request. 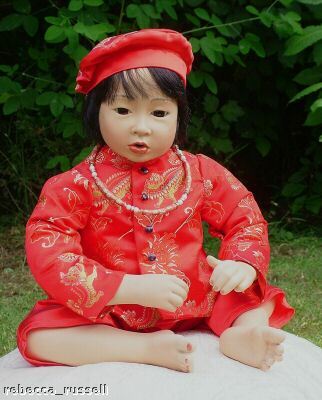 Charming all porcelain doll, Ching, with glass eyes, human hair wig and all Chinese silk outfit. This is a modern all porcelain doll modelled as a reproduction of Kestner design. Measures 12 inches (30 1/2 cm) in length, and weighs unpackaged 550 grammes. Comes without a box. Additional photographs are available on request. Absolutely stunning doll, 20", porcelain head, shoulder plate, full arms and legs and cloth body with armature. Beautiful face. Dressed in vibrant floral red dress and complete with beads and faux leather sandals. Complete with stand, special edition. Measures 20 inches (51 cm) and weighs unpackaged and without box 1200 grammes. Additional photographs are available on request. Lovely example of a half doll or porcelain half doll, designed to be used as a tea cosy top or pin cushion (holes around the base). Understood from my client, to date approximately 1920's. This is unmarked, and measures 6 1/2 inches (16 1/2 cm) in height. Weighs unpackaged 200 grammes. Additional photographs are available on request. Charming doll, hard composition, 1940s. Does have some wear and tear but still a very pretty doll. Eyes in good working order and all limbs in good order. Painted mouth, and painted nails to both the hands and feet. Has had a good quality wig replacement, and has been redressed with new shoes. Some rub area to the end of her nose and wear also to the fingers. Measures 18 1/2 inches (47 cm) in height. Weighs unpackaged 1000 grammes. Additional photographs are available on request. Super composition walking doll, estimated date to c1950. Unknown manufacturer. In working order and I believe with original clothes including leather shoes. Ribbons replaced. Original wig. In good condition, hair in bunches, working eyes with lashes, bright red mouth and painted fingernails. Measures 31 inches (79 cm) in length. Weighs approximately 1700 grammes unpackaged. Additional photographs are available on request. 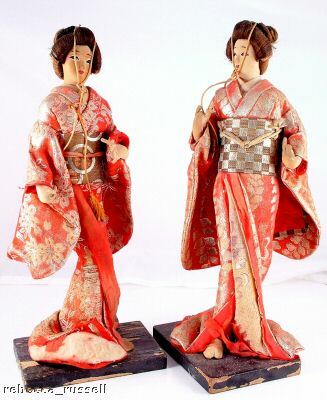 Pair of vintage display Japanese Geisha dolls, traditionally dressed in kimono and obi sash. Both dolls are mounted to a wooden plinth. Although in generally good condition for their age, these dolls are not in perfect shape I am afraid. The clothing is original but, although still quite bright, is faded in places. There is also a repair required to the base of the kimono itself, particularly to one doll. (picture available on request.) The hair is still well held together in the traditional hairstyle. Some wear to the tip of one of the doll's fingers where the fine material has exposed some of the wire. Plinth with wear also. Both dolls measure approximately 11 inches (28 cm) in height, and weigh together unpackaged 400 grammes. Additional photographs are available on request. Glowing cuddly toy called Minky the Sheep. 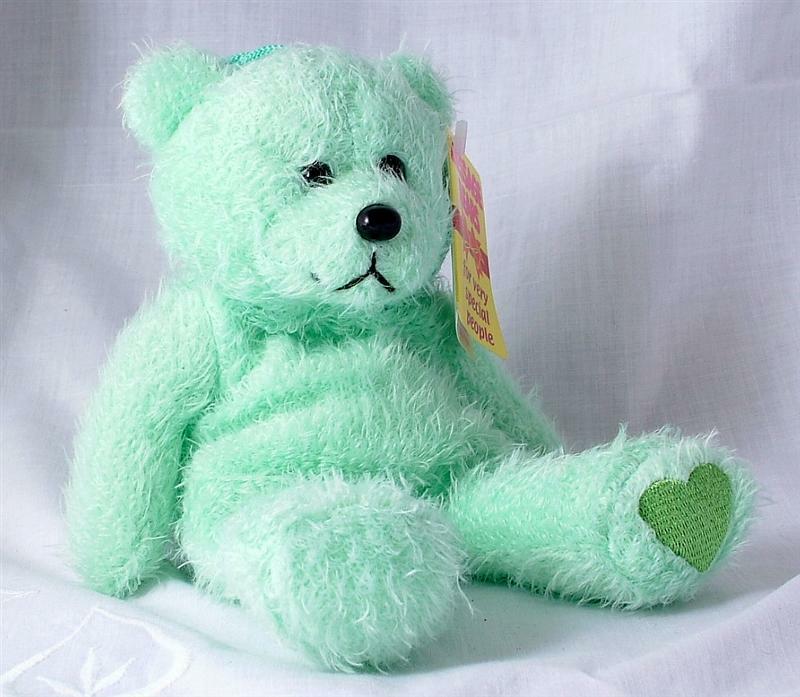 An adorable glow teddy and night watcher with super soft fur and a little lamp inside. Lights smoothly change colour with 7 replacement bulbs. Squeeze Minkys hand to activate and see your little angel gently go to sleep. Squeeze Minkys hand again for the light to stop. Measures approximately 33cms. 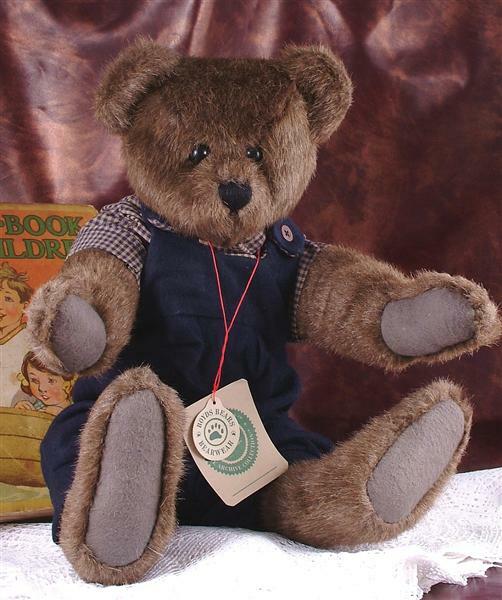 Charming hand made Douglas McTweedle bear with long snout and hump back. Designed and hand made to a limited number of just 10 by Gloria Steggel. Bear can stand or sit. Comes with certificate from the artist. Measures 14 inches (36 cm) in length, and weighs unpackaged just under 350 grammes. Additional photographs are available on request. 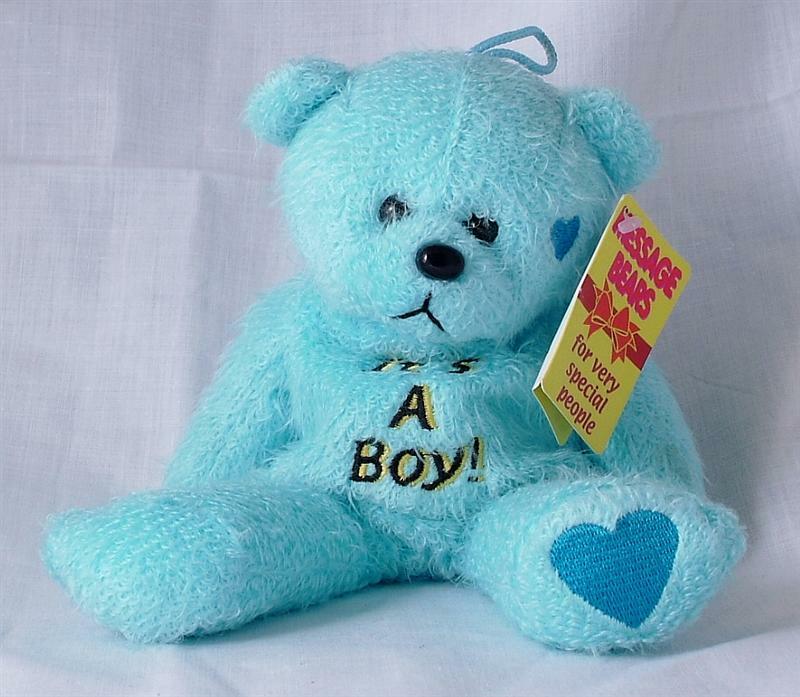 Charming old bear, old mohair, glass eyes and stands approximately 12 1/2 inches (32 cm) in height. Possibly French, and possibly a Pintel or Fadap. In good condition. Weighs unpackaged 300 grammes. Additional photographs are available on request. 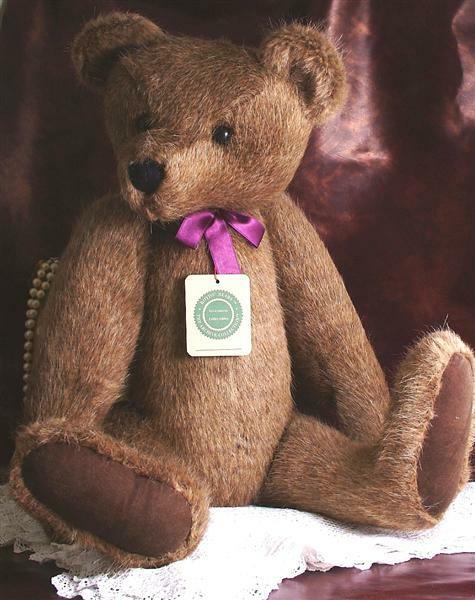 Charming anniversary or celebration bear, mohair coat and glass eyes finished with velvet paws. Stands 11 inches. Designer Jemma Steggel. Additional photographs are available on request. Charming miniature Japanese doll, Yamato-ningyo, these began manufacture towards the end of the Meiji era (1868-1912). We estimate this doll to date between 1910 and 1925. 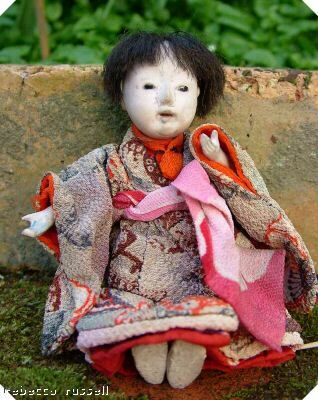 These dolls were made to represent the spirit of the Japanese child and were usually sold undressed for the family to dress according to their taste. This particular doll is very fragile, with her feet now drying out and becoming brittle. Silk kimono is in good condition, with good colour as is the obi. Wig is imperfectly stuck with the back of her head a little bare. Measures 4 1/2 inches (11 1/2 cm) in length. Additional photographs are available on request. 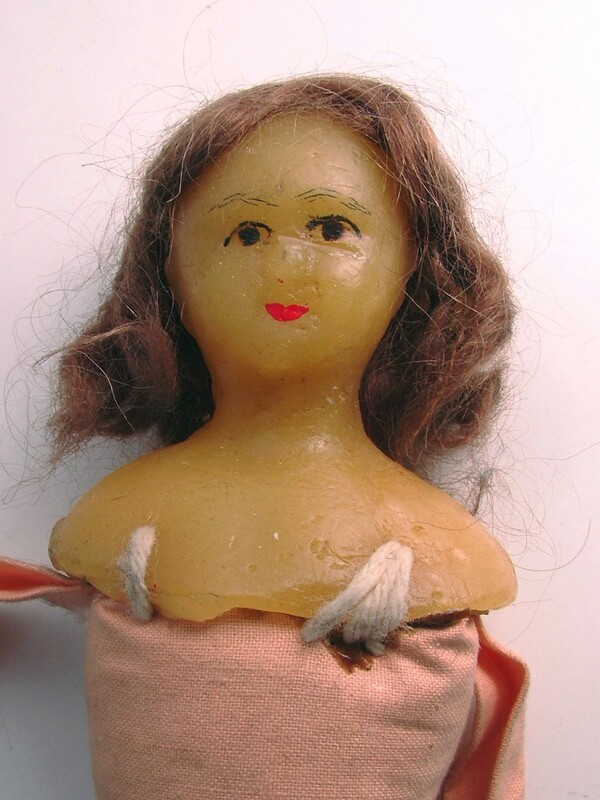 Small poured wax doll with cloth body human hair. Dates around c1900. In generally good condition, although has a stain to her leg and has had a replacement wax arm made. Some wear to the face. 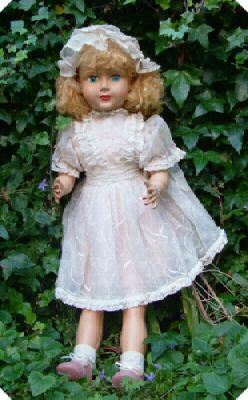 Comes unclothed, although we can organise for this doll to come in authentic dress if required. 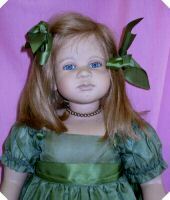 For a quote on dressing this doll, please contact us by email. Doll measures 11 inches (28 cm) in length. Weighs unpackaged 130 grammes. Additional photographs are available on request. 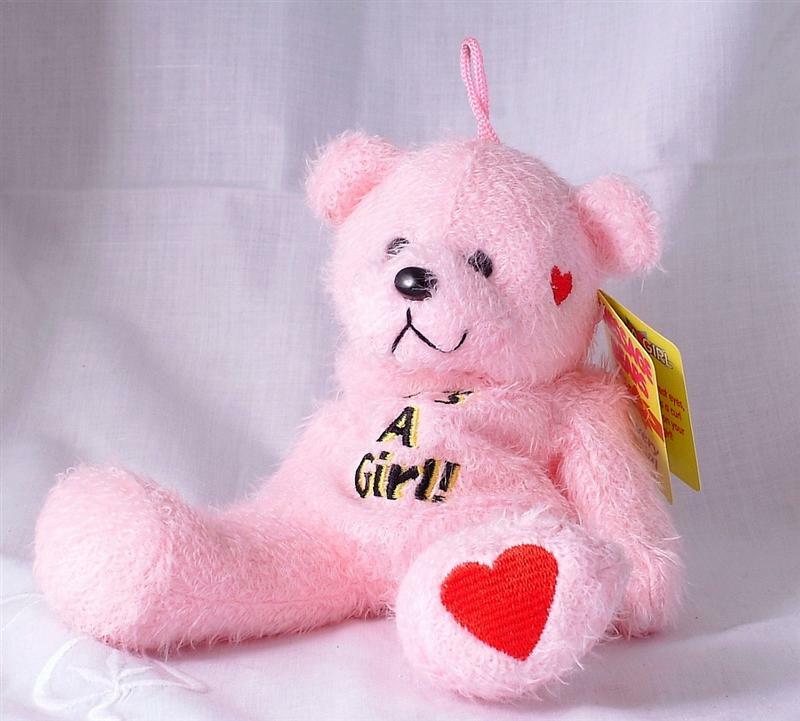 Charming hand made Golly doll named Rosie. Vibrantly dressed in a red floral dress with matching headscarf. White bloomers. Designed and hand made to a limited number of just 25 by Gloria Steggel. 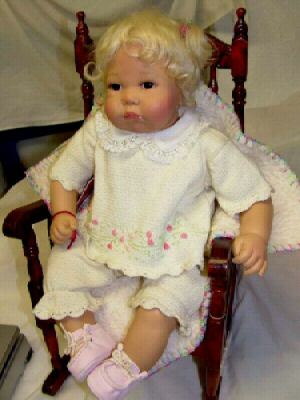 Doll can stand or sit. Comes with certificate from the artist. Measures 16 inches (41 cm) in length, and weighs unpackaged just under 250 grammes. Additional photographs are available on request. 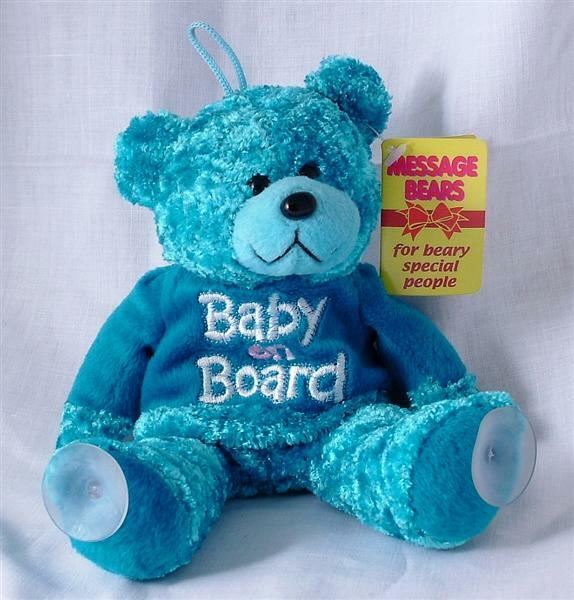 A super addition to your antique or cherished teddy - a vintage solid silver teddy bear form teething ring. 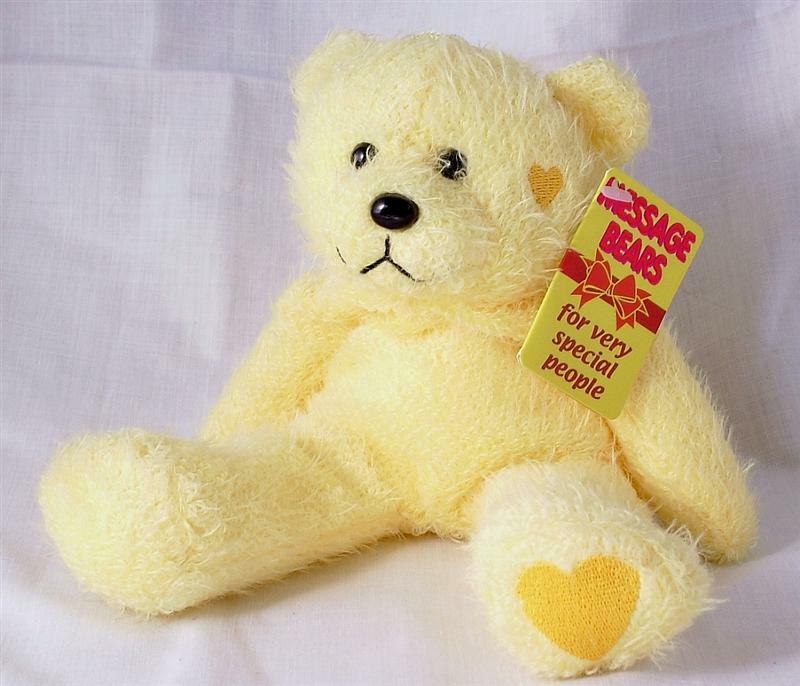 The teddy is also a bell and is hallmarked Birmingham 1976. In an unusually perfect condition free from dents, dings or splits. I would guess the ring to be made from nylon. 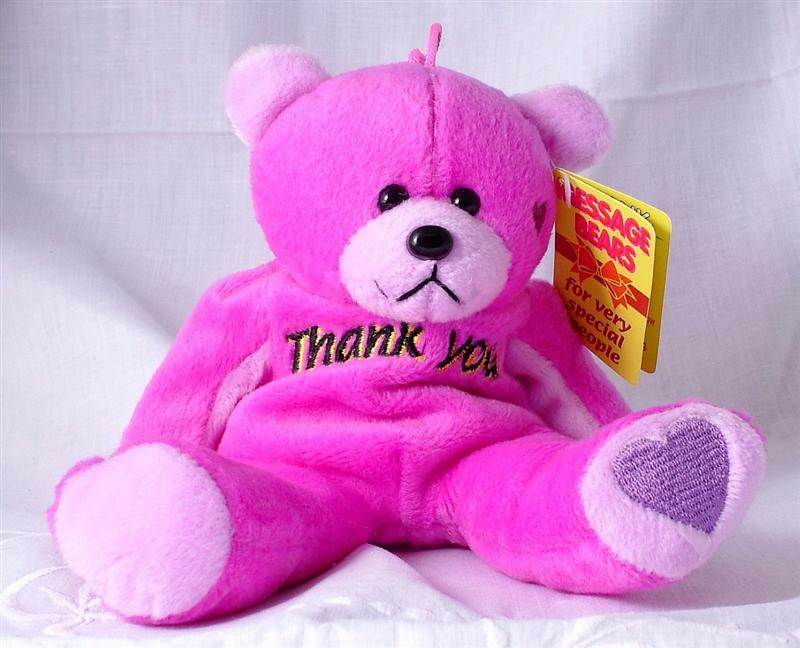 The teddy is 1 3/4 inches in length. Additional photographs are available on request. 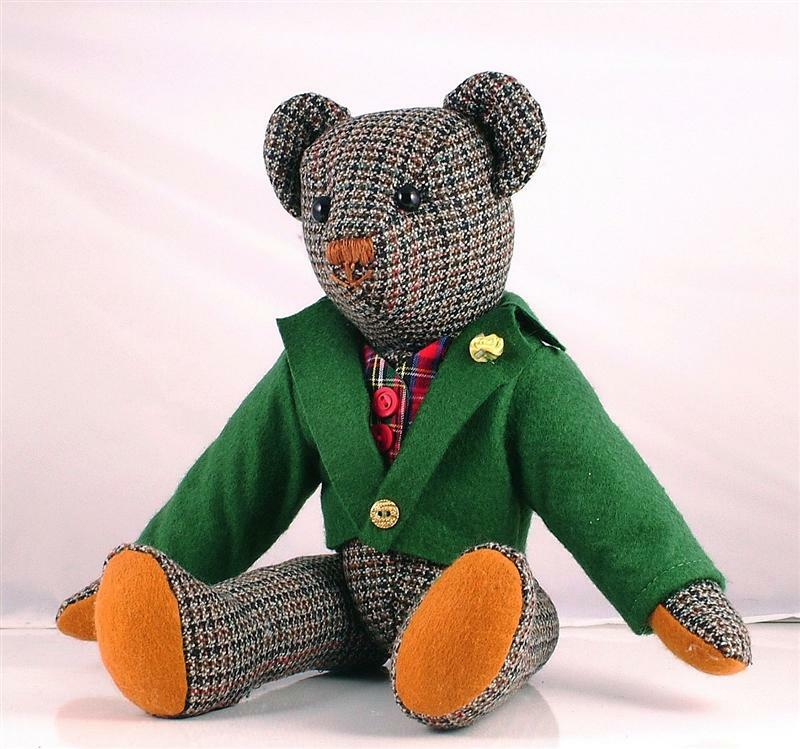 Charming Benson bear, mohair coat and glass eyes. Stands 9 inches. Designer Jemma Steggel. Additional photographs are available on request. Collection of wooden dolls or wooden peg dolls or Polish dolls, handpainted faces and original clothing. Clothes are a little faded and worn in places, and original hair in playworn condition. Handpainted faces are still vibrant, although the red colouring to the feet are also worn. All dolls are charming, and one is dressed in what could be a Brownie uniform or Brownie outfit. All measure approximately 7 inches (18 cm) in height. Weighs unpackaged 250 grammes. Additional photographs are available on request. Charming doll dating around the 1930's. Composition feel head and arms, cloth body and legs. Blue linen dress. 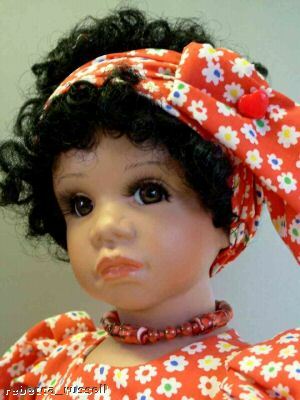 Believe the style of doll to be known as Hairbow Peggy by the manufacturer Reliable. 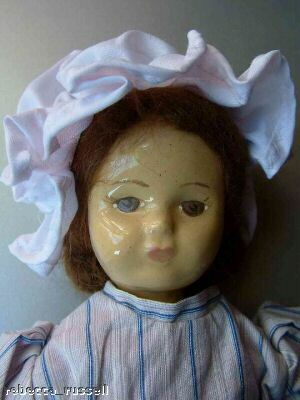 This doll is in a good but generally playworn condition, with rubbing to her nose and top lip, damage to the curl to the back of her head which holds the ribbon. Believe the arms to be original because of the wiring, however, they are unusually short and not in proportion to the rest of her body. Stitching to the body and legs in good order. Most probably filled with straw or similar - very heavy and firm feel. Doll measures 19 inches (49 cm) in length, and weighs unpackaged 400 grammes. Additional photographs are available on request. 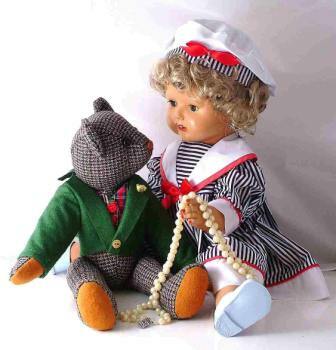 Charming small velvet sailor doll, Carmania embroidered to the band of his cap. By Peggy Nisbet, (thanks Heather! ), although no label. In generally good condition, however a little stained, and with his cap loose where it joins the side of his face leaving a split and spreading area in the face material. Wear also to the nose area. Dates around 1950, and was made on contract to the Cunard Line and most probably sold as a holiday souvenir. 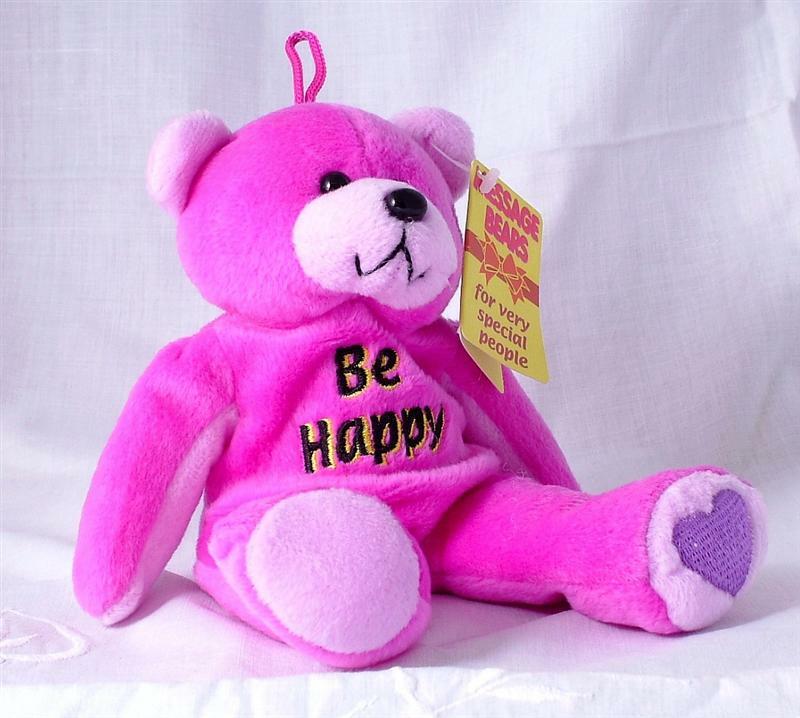 Measures approximately 8 1/2 inches (22 cm) in length, and weighs unpackaged just under 50 grammes. Additional photographs are available on request. Pair of oriental miniature dolls, most probably Japanese, and dating to an estimated c1950. In generally good condition, although clothes showing a little bit of wear in places. Measure 3 1/2 inches (9 cm) in height, and weigh together unpackaged 50 grammes. Additional photographs are available on request. Super soft Bunnykins rabbit or bunny, "Harry" by Royal Doulton. Embroidered to jacket a little rabbit, and holding a ball in his hand. Comes boxed, this Bunnykins Huggable Plush baby toy (suitable from birth upwards) is available with a choice of either "William" or "Harry". Harry is dressed in the green, and William is dressed in the red and is also available from the shop. Harry Rabbit has a bean filled base, soft fabrics, bright colours and has a rattle to stimulate awareness. Also cleans easily. 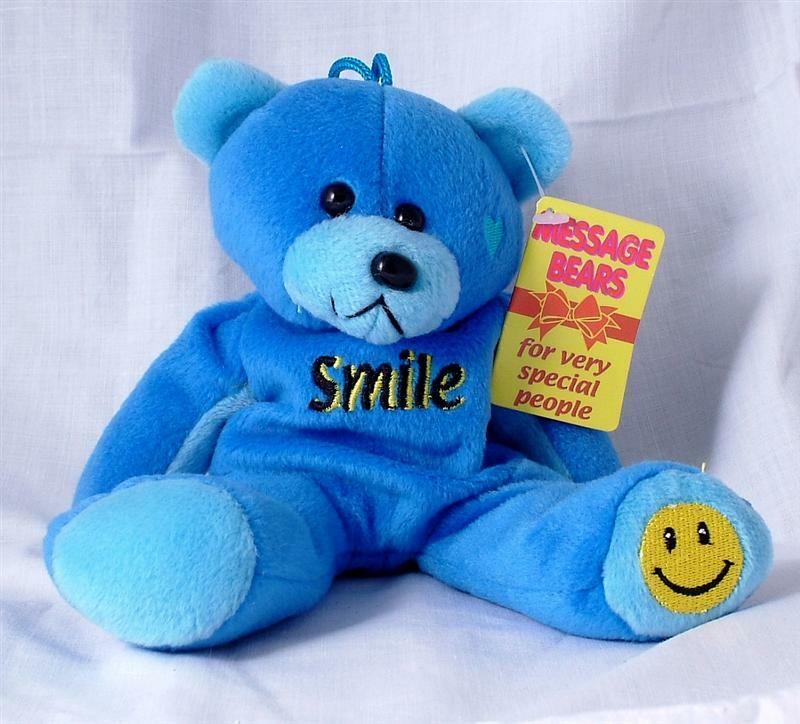 Measures approximately 11 inches (28 cm) in a seated position and to tip of ears. Weighs in his original box but unpackaged 300 grammes. Additional photographs are available on request. 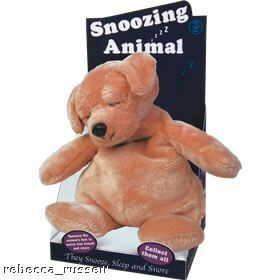 Super soft Christmas bear that snoozes realistically when paw is pressed. 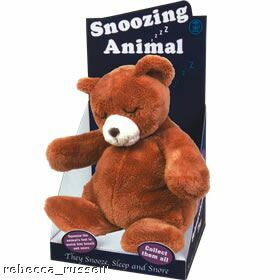 Clever internal mechanics allows the bear's head and shoulders to rise and fall as if he is snoozing contentedly in time with the loud satisfying snores. 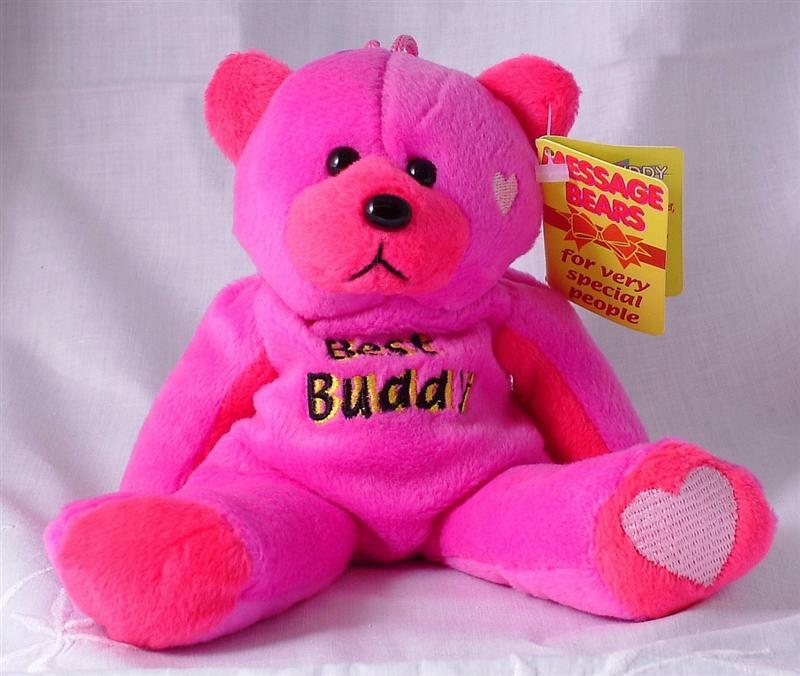 The velvety super-soft material makes him irresistable to touch. Includes 2 x AA batteries. 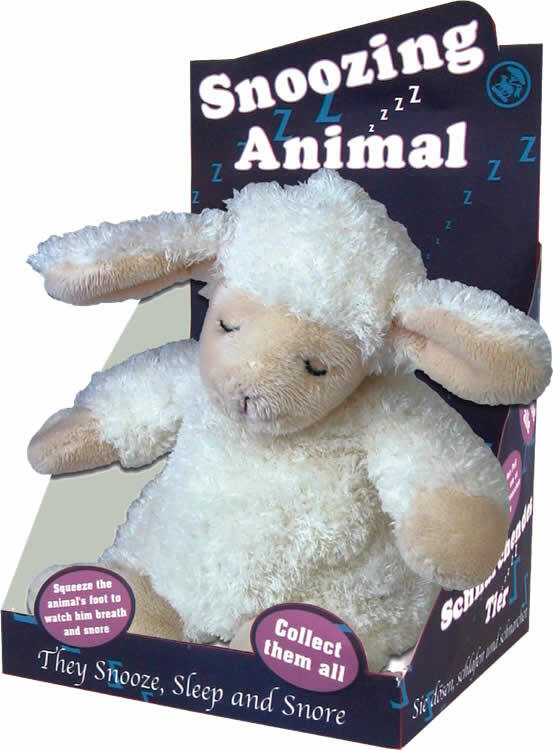 Other animals in the snoozing range also available, to include zebra, dog, monkey, teddy bear, cow and giraffe. An adorable snoozing zebra. Battery operated, (2 x AAA batteries included), when you press his foot he takes a deep breath and begins snoring. A clever mechanism causes his tummy to inflate and deflate and his head and shoulders to move in time to his snoring. Additional photographs are available on request. An adorable snoozing puppy dog. Battery operated, (2 x AAA batteries included), when you press his foot he takes a deep breath and begins snoring. A clever mechanism causes his tummy to inflate and deflate and his head and shoulders to move in time to his snoring. Additional photographs are available on request. An adorable snoozing cow. Battery operated, (2 x AAA batteries included), when you press his foot he takes a deep breath and begins snoring. A clever mechanism causes his tummy to inflate and deflate and his head and shoulders to move in time to his snoring. Additional photographs are available on request. An adorable snoozing teddy bear. Battery operated, (2 x AAA batteries included), when you press his foot he takes a deep breath and begins snoring. A clever mechanism causes his tummy to inflate and deflate and his head and shoulders to move in time to his snoring. Additional photographs are available on request. An adorable snoozing monkey. Battery operated, (2 x AAA batteries included), when you press his foot he takes a deep breath and begins snoring. A clever mechanism causes his tummy to inflate and deflate and his head and shoulders to move in time to his snoring. An adorable snoozing lamb. 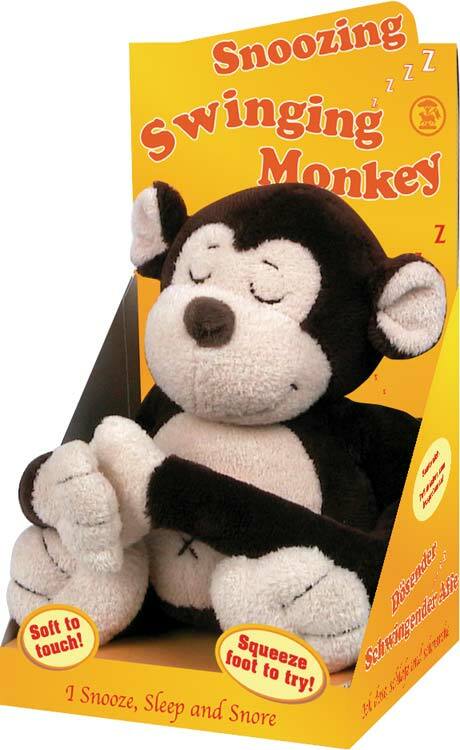 Battery operated, (2 x AAA batteries included), when you press his foot he takes a deep breath and begins snoring. A clever mechanism causes his tummy to inflate and deflate and his head and shoulders to move in time to his snoring. 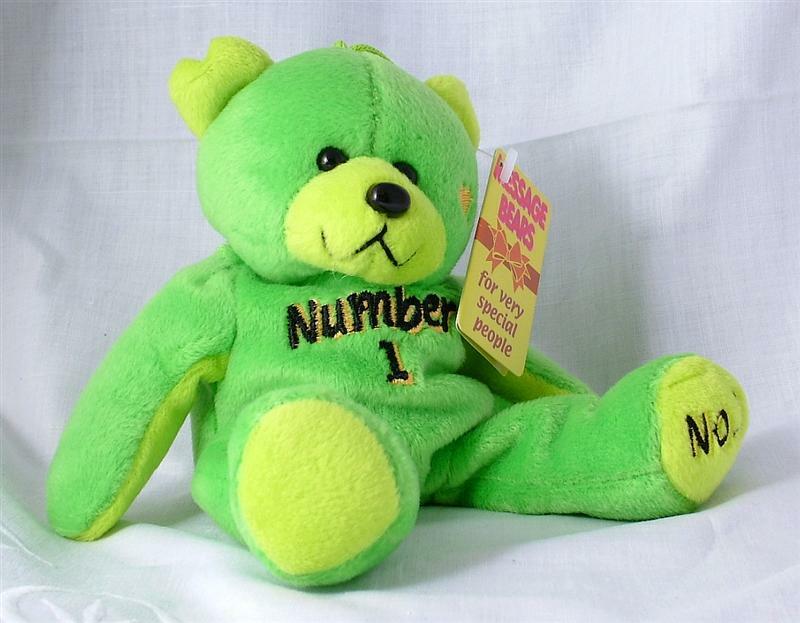 Collectable teddy bear, named Cornwallis, measuring 16 inches in height. Beautifully dressed in a blue cheque shirt and navy blue dungarees. Hand made and full of character. 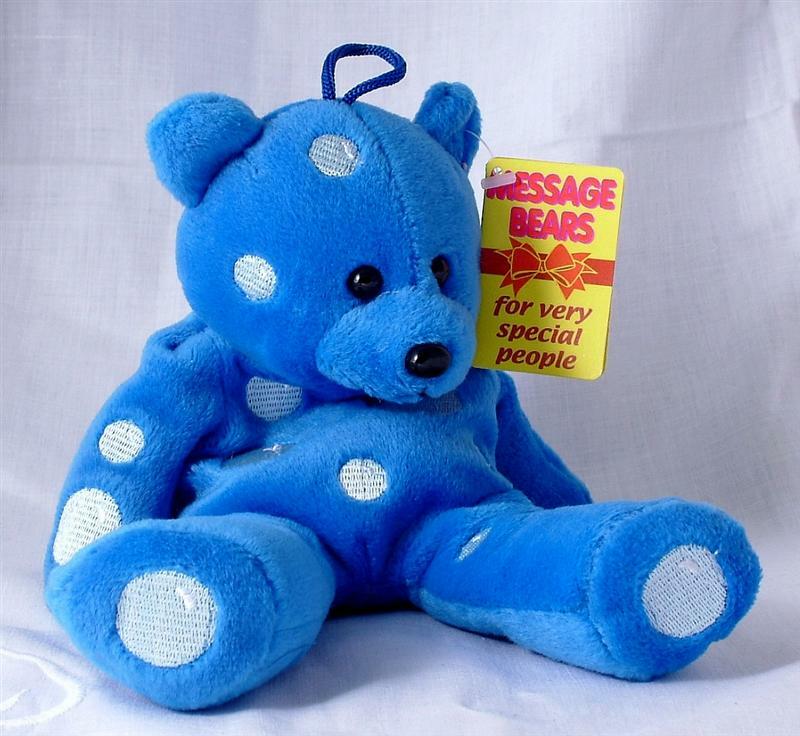 Collector bear suitable for ages 5 and up. 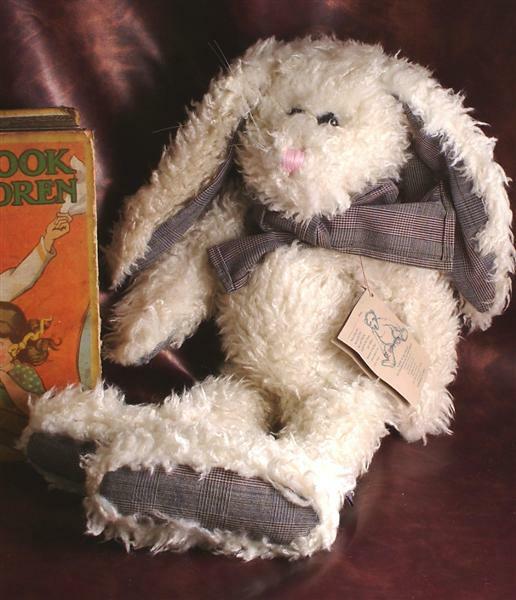 Stunning hand made rabbit from the Boyds Bears collection. Named Zelda. Filled with propylene pellets. 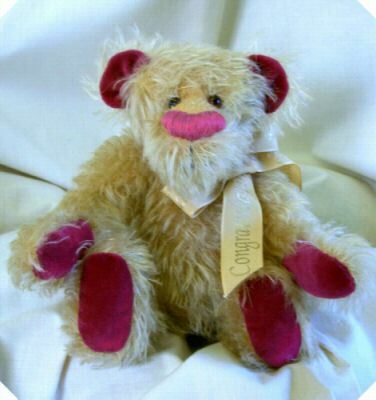 Great character with pink nose, whiskers and material ears, bow, paws and feet. Movable arms and legs. Pictures don't really do this little chappie justice - just love him - or her! 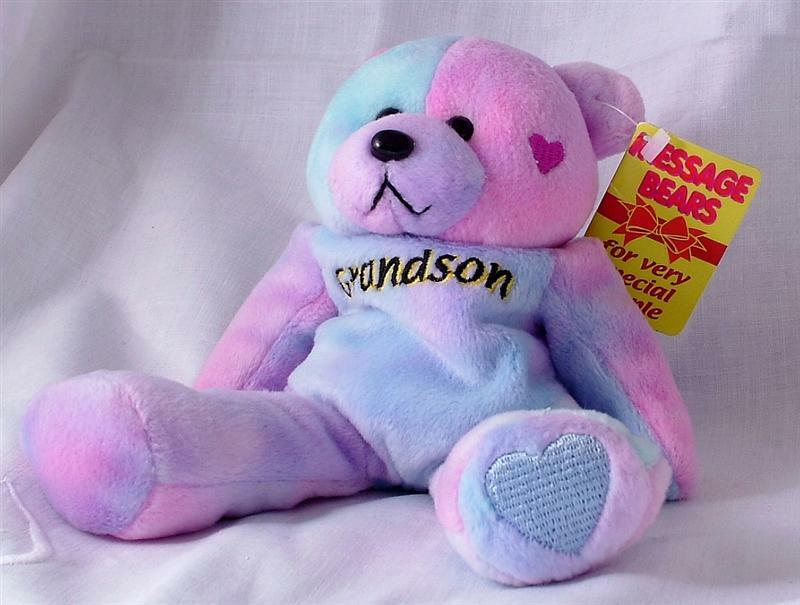 Very cute little bear complete with purple ribbon. 12 inches. Tradtional style with hump back and long paws. Named Churchill. Movable limbs and suitable for ages 3 and up. 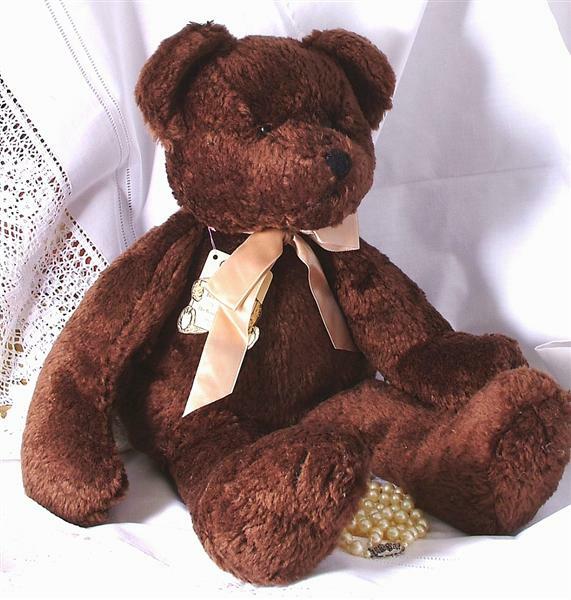 Charming 21 inch collector teddy bear, handmade and full of character. Named Wellington. Traditional style with hump back and long paws. 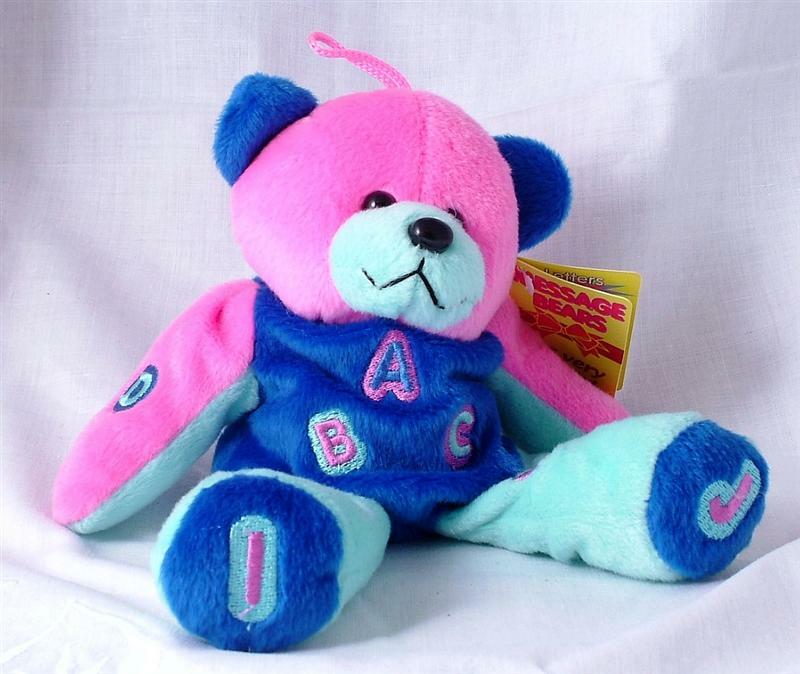 All limbs move and the bear can be seated. Complete with purple bow. 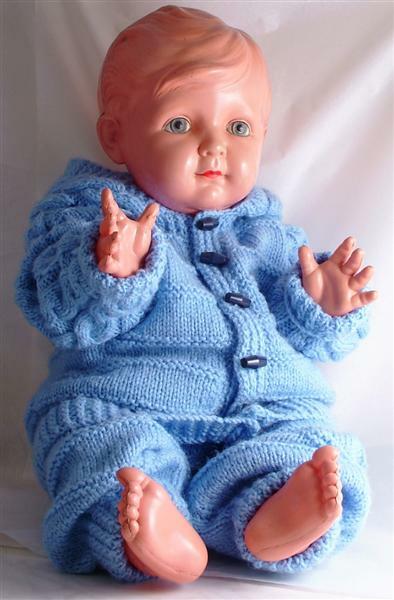 Charming celluloid baby boy doll, little Big John. Moulded hair and painted eyes and lips. Generally good condition although has been played with. Seam to the head visible in the picture. Repair to the thumb, can be seen in the picture. Reclothed. Measures approximately 22 inches in height.